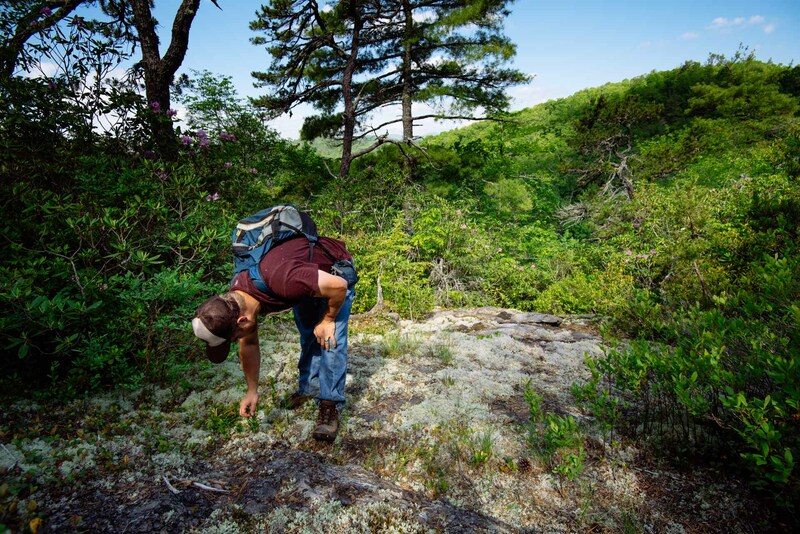 Treading lightly, Highlands-Cashiers Land Trust Stewardship Coordinator Kyle Pursel checks out rare plants and mosses growing on the granite outcrops outside Highlands. In the valley below him is the Cheoah, the largest and tallest living hemlock tree in the world. The Land Trust carefully protects over 3000 acres of land resources, including tracts of old-growth forest like this one.